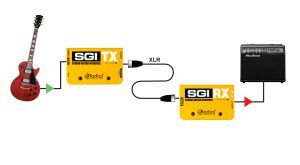 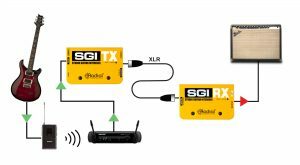 The SGI is a high performance line driver system for guitars that takes an unbalanced instrument signal and allows you to drive it as far as 100 meters (300ft) without noise. 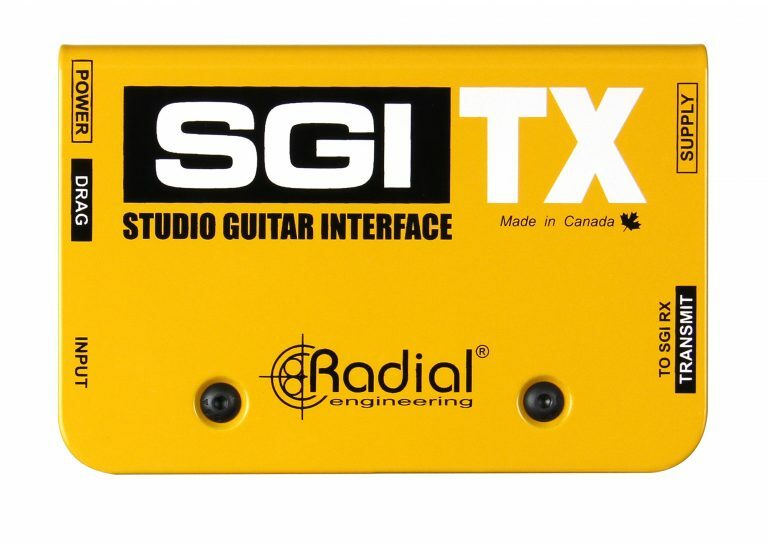 The SGI sends guitar signals across long distances without signal loss or noise, while retaining the original tone of the instrument. 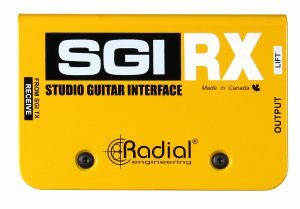 In the studio, it allows the guitarist to sit in the control room and connect to a distant guitar amp. 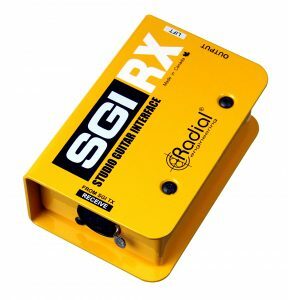 On stage, the SGI can be used to play the guitar amp using off-stage isolation cabinets or it can be used to manage guitar signals to and from wireless systems, pedalboards and amplifiers. 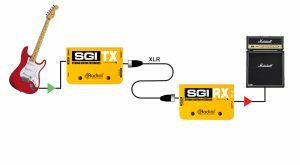 The SGI consists of two boxes: the SGI-TX transmitter and the SGI-RX receiver. The connection between the TX and RX is made using a standard balanced XLR microphone cable. 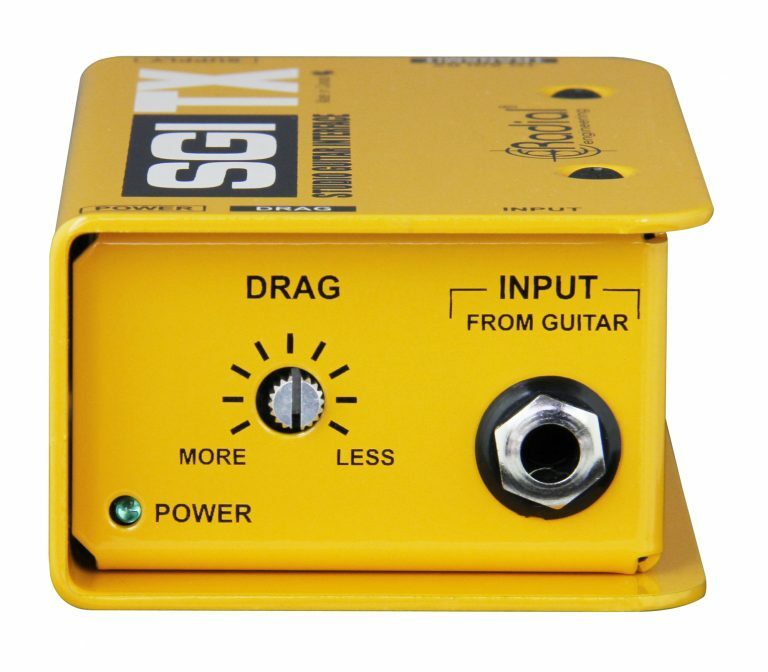 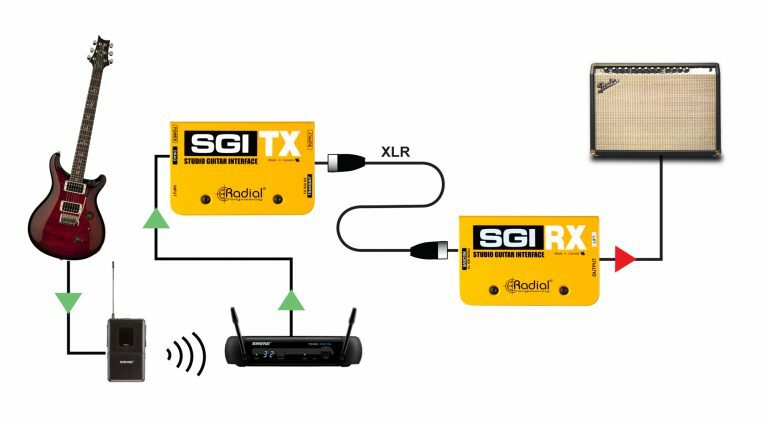 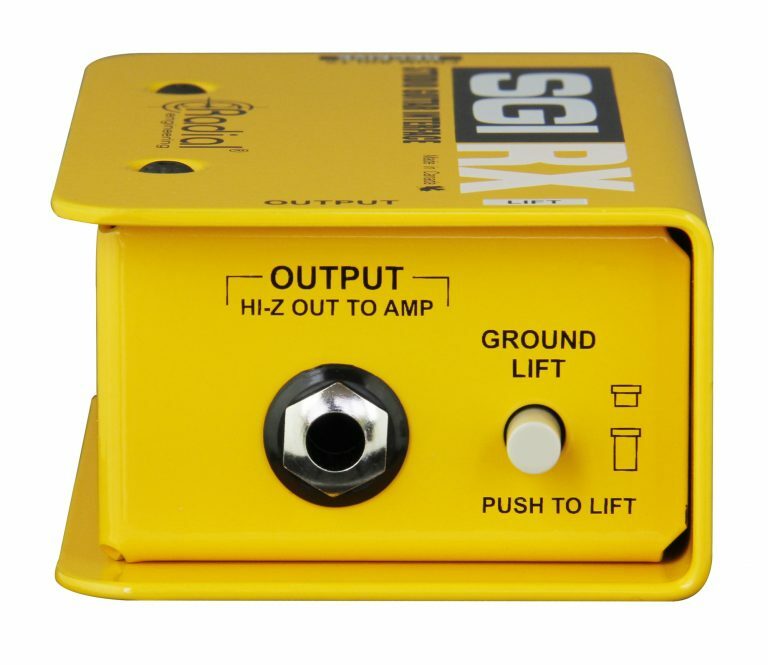 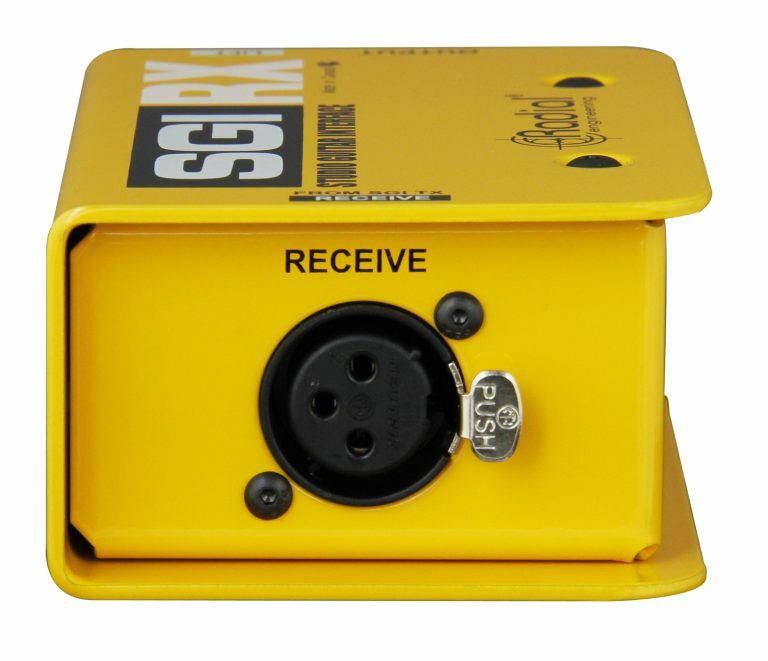 To use, you simply plug your guitar into the SGI-TX input and connect your amp from the SGI-RX output and you are set to go. 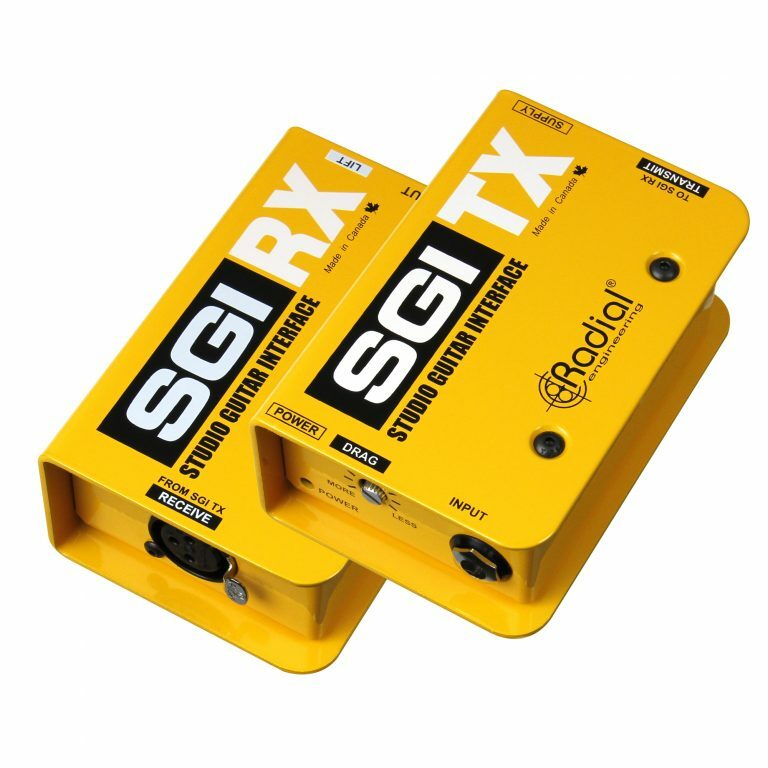 The SGI does all of the balancing, buffering and impedance matching for you. The SGI is the perfect interface for studio recording. 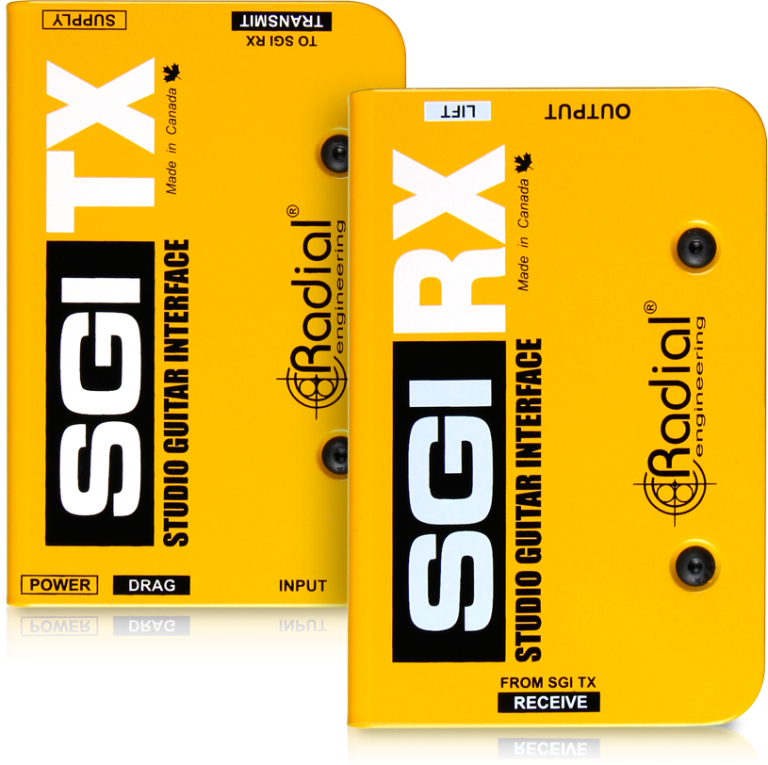 Now, you can sit in the control room and play guitar and actually hear what is coming through the monitors while you play. 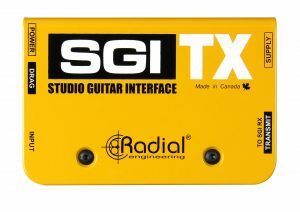 Simply connect the guitar into the SGI-TX, run a balanced cable to the SGI-RX and crank to your hearts content! 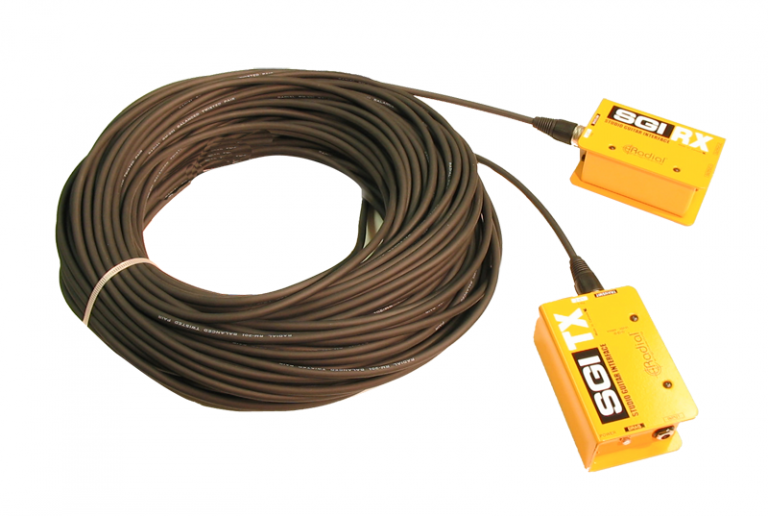 The SGI delivers a ready solution for large stages where high impedance guitar signals are often affected by the capacitance long cables or noise due to lighting systems. The SGI balances the signal and delivers it without noise or artefact. 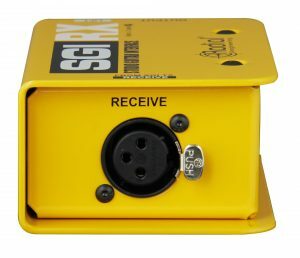 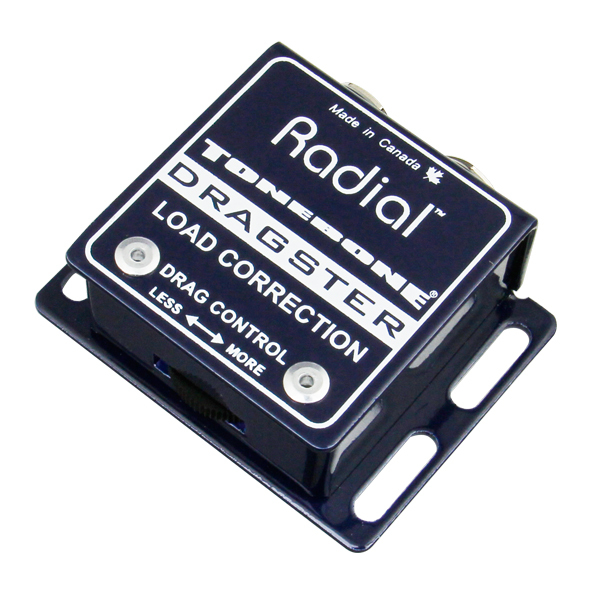 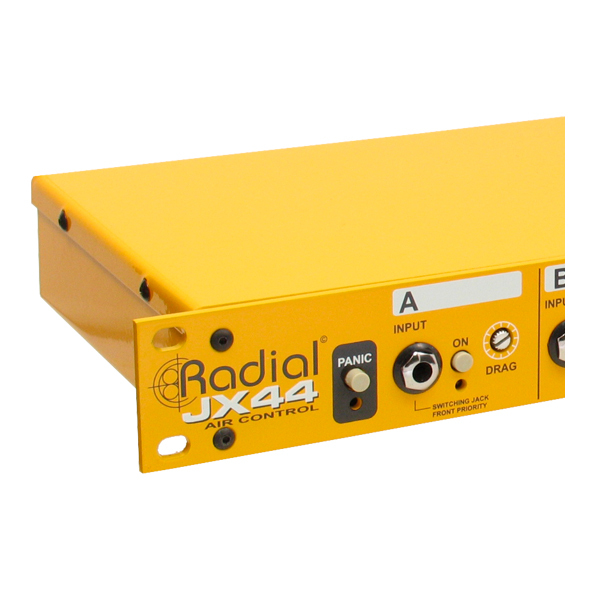 Perfect for isolation cabinets, under stage amps or remote 'quiet' rooms. 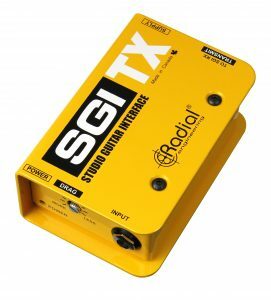 The SGI is a wonderful tool that can be used to help manage complex setups on stage. You can route the signal from the wireless receiver to the pedalboard, then use a second unit to drive the signal back to guitar amp and drive signals as far as you need to go without noise. 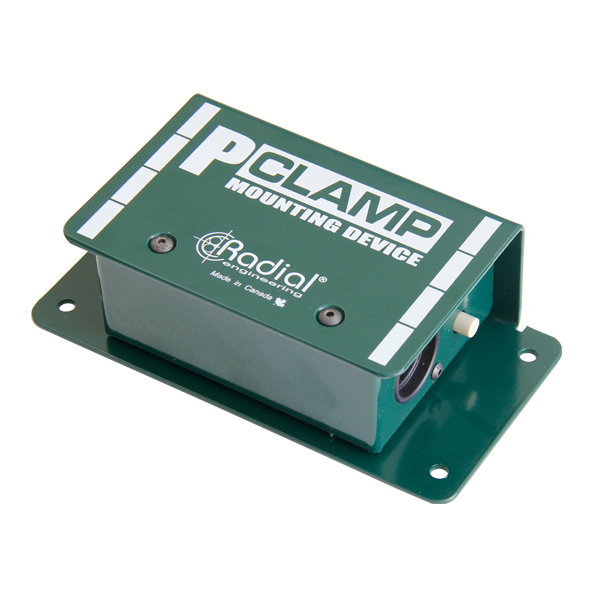 The P-Clamp is used to secure most other ProSeries Radial products to a desk or install application.